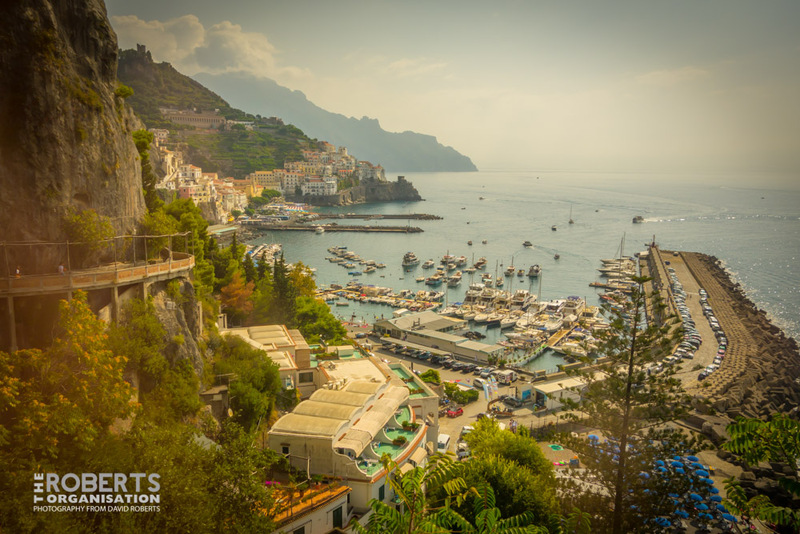 Looking down at the beautiful Italian seaside resort of Amalfi. 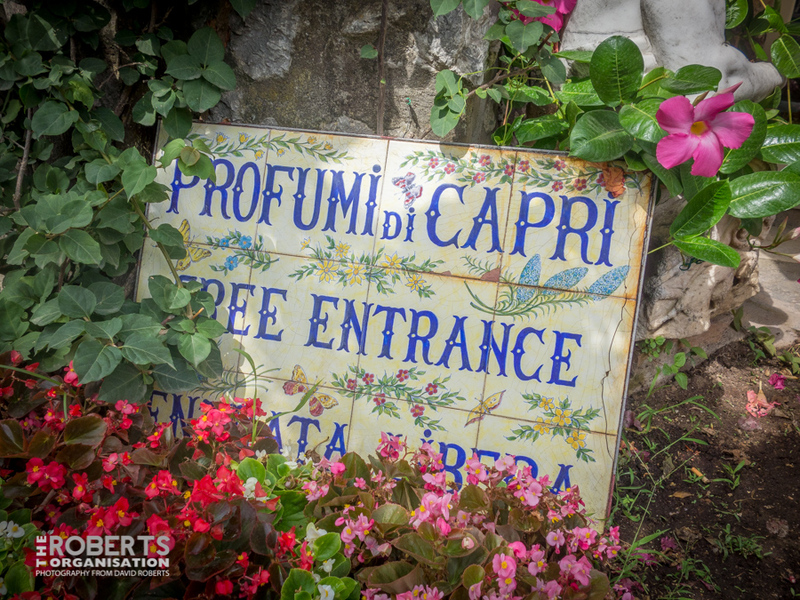 Beautiful tiled sign on the Isle Of Capri, Italy. 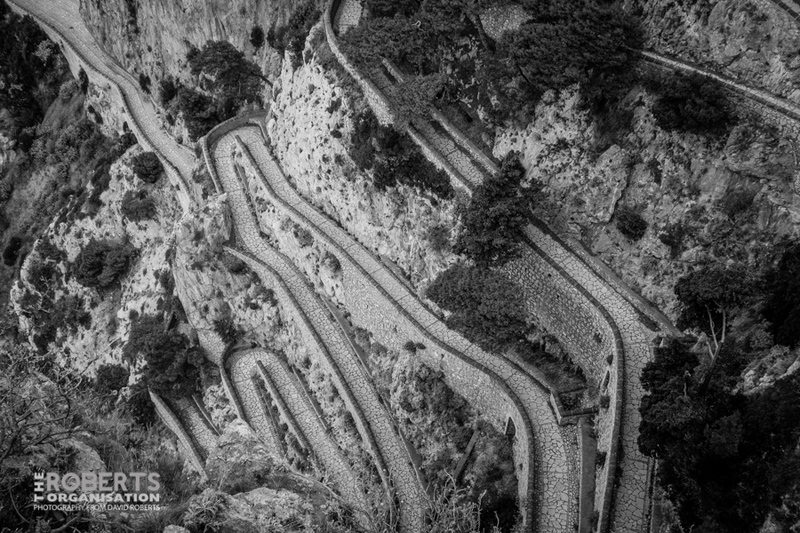 Looking down at the Via Krupp, a perilous cliffside path on the Isle of Capri, Italy. 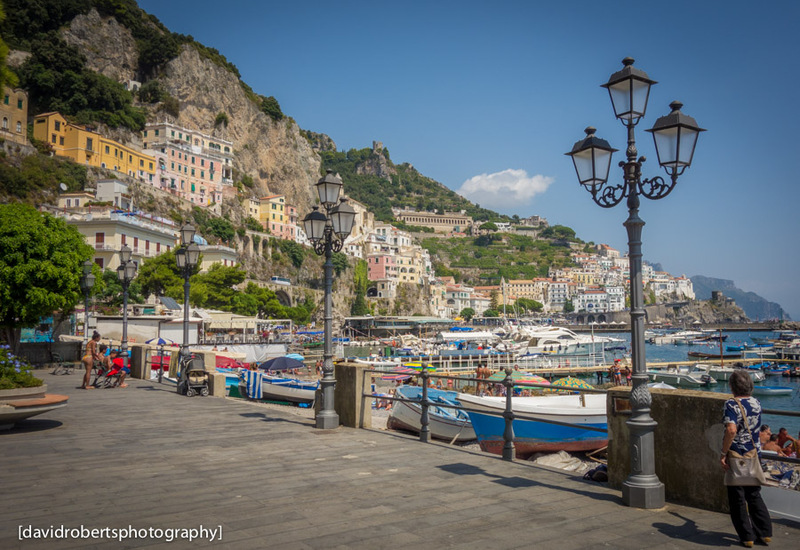 The beautiful promenade in the classic Italian seaside resort of Amalfi. 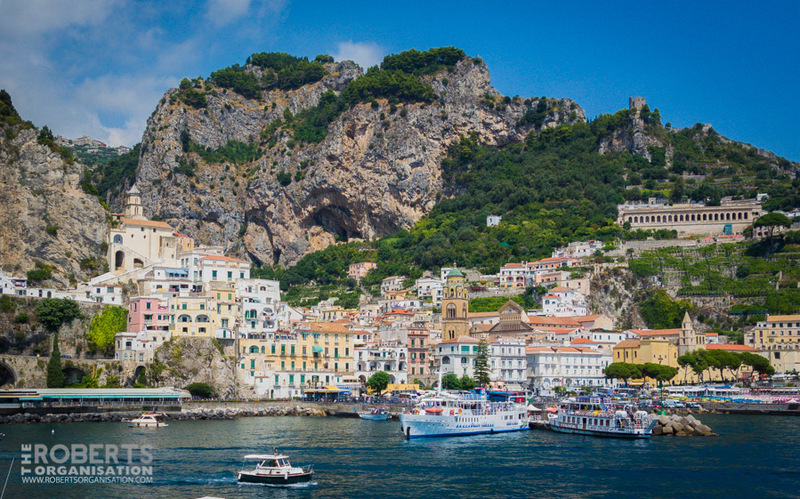 The beautiful resort town of Amalfi, on the Amalfi Coast in Southern Italy.